Weighty Matters: Should We Be Banning the Marketing of Insane Meals? Should We Be Banning the Marketing of Insane Meals? 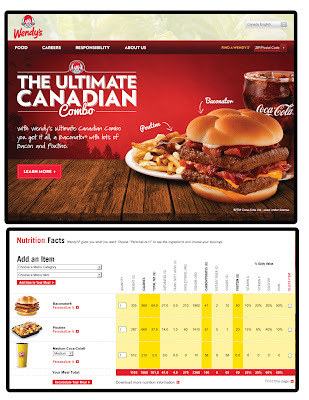 Thanks to blog reader Chris for sending along a photo and the nutritional breakdown for what Wendy's is calling the "Ultimate Canadian Combo". 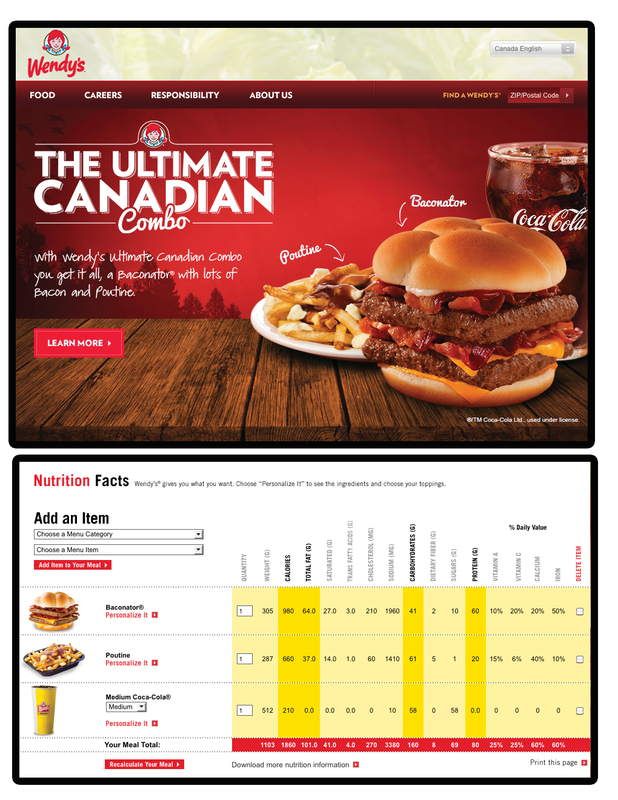 To save you the trouble of clicking or magnifying the photo this "Ultimate Canadian" combo of a Baconator, poutine and a medium Coke weighs more than a kilogram and contains a cool 1,860 calories, 3,380mg of sodium and thanks primarily to the "medium" Coca-Cola, 17 teaspoons of sugar. Makes me wonder whether or not a day will come when politicians will try to ban the advertisement (not the sale) or the discounted bundling of combos containing more than a predetermined amount of calories or other nutrients?